When it comes to wine, Saeed Amini, sommelier of Cetrella restaurant in Half Moon Bay, is as bubbly as his favorite Jacquesson & Fils Brut Perfection Rose Champagne. Until he is asked how his family feels about his job. Amini, one of the few Iranian-American sommeliers in this country, comes from a family whose religion prohibits the consumption of alcohol. His sister in Washington, who knows about his sommelier job, doesn’t approve. His mother in Iran believes he is a restaurant manager. Amini has yet to tell her what else he does. 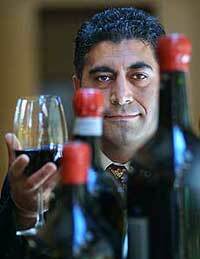 Maybe it is precisely because wine was taboo that Amini grew up with a thirst for it. When he was 16, his father received a bottle of wine as a gift. Amini found it hidden away and sneaked the smallest of sips. That same year, Amini remembers, his American neighbors invited him over for his first taste of pork. The 38-year-old, who has degrees in mathematics and physics, fled Iran in 1984 during the Iraq-Iran war. He lived at a United Nations camp in Pakistan for two years before immigrating to San Diego, where his brother worked at a restaurant. Three days after Amini arrived, alone and unable to speak English, his brother put him to work as a busboy. It wasn’t long before Amini progressed to bartender, then server. While working as a waiter at Tourelle in Lafayette (now Postino restaurant), Amini was introduced to fine wines by chef Stephen Silva. The two spent their free time working the harvest and crush at Kalin Cellars in Marin County. There was something invigorating and inspiring about watching grapes go from vineyard to bottle for Amini, who grew up reading Iranian poet Omar Khayyam’s musings on food and wine, and who relished the serene times he spent as a boy on his grandfather’s walnut and pomegranate farm. Those are the peaceful memories of Iran he likes to cling to, not the ones mired in violence and the killing of so many of his family members. Amini never became religious, he says, precisely because of what he saw religion do to his country. Even now, he prefers not to discuss the specific religion the rest of his family still practices. Alpana Singh was supposed to be a doctor or a lawyer. After all, she says with a laugh, that’s just what you do if you’re a good Indo-American daughter trying to do right by your parents. Singh, now sommelier at Everest restaurant in Chicago, didn’t grow up with wine at the family dinner table. But perhaps it was only natural that she gravitated to it after watching her father, who was unable to transfer his veterinary license here after immigrating from Fiji, become a waiter, then a chef in Pebble Beach. While working as a server at a Monterey restaurant to pay her way through college, the chemistry major grew fascinated by another kind of chemical reaction — how fermentation can turn humble grape juice into extraordinary wine. At 21, the college dropout became the youngest person to pass the second part of the master sommelier’s exam, a three-stage certification process that includes a 25-minute blind tasting to identify the country, varietal and vintage of six wines. In February, she will take the final part to try to become only the 105th person in the world to pass. 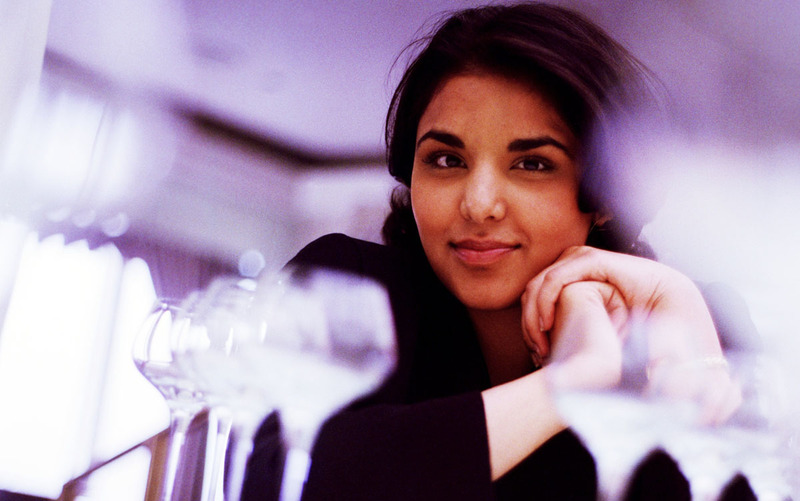 If she does, Singh will be the world’s youngest master sommelier. Her pluck and easy confidence landed her a first sommelier position at Everest, where acclaimed French chef Jean Joho put her in charge of his million-dollar, 1,500-bottle wine cellar. The two had met at the annual Masters of Food and Wine event in Carmel when Singh was teaching wine classes for a wine retailer. She ended up kicking back at a table with Joho and chef Jacques Pepin’s daughter, Claudine, at 1 a.m., when the talk turned to wine. As Singh extolled the virtues of curry with Alsatian riesling, Joho smiled and said, ”I like your personality. When do you want to go to Chicago?” Within the week, she became his sommelier. After conquering Everest, why did she decide to spend so many years, and several thousand dollars in course fees and transportation costs, to try to achieve a master sommelier title — a goal most sommeliers don’t even attempt? Even so, she has never let that stop her — or get the best of her. Singh will always remember an interview at a San Francisco restaurant when the manager asked what she would do if a man told her he didn’t want her waiting on him because she was a woman. Although he’s one of the few top sommeliers in the country who are Indo-American, Rajat Parr of San Francisco says he has always felt accepted by his peers in the United States. France, though, is a different story. Years ago, at a restaurant in Valence, Parr’s friend introduced him to the French sommelier, saying, ”This is Raj. He’s one of the best sommeliers in America.” The French sommelier then put a glass of wine in front of Parr — one not on the menu — and dared him to discern what it was. Parr swirled the glass and took a whiff. Then he took a sip — and nailed it. It was a 1992 Bonneau Chateauneuf-du-Pape Marie Beurrier, a wine that’s difficult to come by. After that, Parr says with a laugh, the two became great friends. The 30-year-old Parr, who was born in Calcutta, is used to having to prove himself. After all, India is not the first place one might think of looking for budding sommeliers. The country did produce a good sparkling wine while he was growing up, but it was exported to England. Beyond that, the little available wine was terrible, he says. People drank beer, whiskey and rum. From age 8, Parr spent his summers at his cousin’s two restaurants in New Delhi, and grew up with a taste for fine food. But when it came to wine, all he could do was read about it and try to imagine what each glass would taste like. It wasn’t until after he graduated from hotel school in India and came to the United States in 1994 to attend the Culinary Institute of America at Hyde Park, N.Y., that Parr finally got some answers. Back then, he was set on becoming a chef. But that changed in 1996, when he took his first wine class at the institute. Parr ended up asking so many questions, he stayed for both the morning and afternoon sessions. He graduated from the wine course at the top of his class and won a Wine Spectator scholarship. At the urging of his wine teacher, Parr packed his bags, borrowed money from friends and got on a plane to try to snag a job with master sommelier Larry Stone of Rubicon restaurant in San Francisco. With bag still in hand, Parr went straight to Rubicon. The only job available was waiter, which he eagerly grabbed. In six months, he became Stone’s assistant. 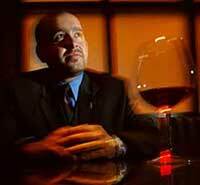 He held that job for three years before becoming the sommelier at the Fifth Floor in San Francisco, consultant for Turmerik restaurant in Sunnyvale and now sommelier and wine director for chef Michael Mina’s roster of restaurants, which include Redwood Park and Aqua in San Francisco. What was it about wine that captured Parr’s imagination and those of so many other sommeliers who didn’t grow up with it as part of their culture? Parr, who would like to some day own a restaurant, gets queries from time to time from fellow Indo-Americans interested in following in his footsteps. He tells them to be devoted and do their best. Stone, who remembers Parr’s zeal early on and how he would visit vineyards on every day off, will be the first to say that Parr’s dogged determination has been key to his success. Even the French know that now.